Armadale Detectives are currently investigating an Aggravated Robbery incident that occurred in Martin on Tuesday the 15th January 2019. Around 10.15pm, a mobile phone was stolen from the victim after he was punched several times, on Broadhurst Road. The victim was then able to run from the area. The man is described as: Approximately 20-25 years of age and a medium build. He was wearing a black t-shirt with ‘Society’ on the front in white lettering, dark blue long pants and a red baseball cap. He has tattoos on both of his arms. 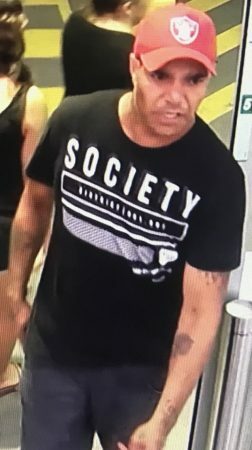 If you have any information about the identity of this man or details of this offence please contact Crime Stoppers on 1800 333 000 or report online at www.crimestopperswa.com.au. You can remain anonymous if you wish and rewards are available once charges are laid. Please quote Reference Number 9139.